Gravity affects us all. When NASA sent the New Horizons spacecraft back in 2006, they needed to carefully calculate how the gravity of Earth, the sun, and other large bodies would affect the trajectory of the craft in order to get it to precisely the right spot, 9 years later, to send back amazing pictures of a new world. Here on earth, the effects of gravity might be more mundane, but that doesn’t mean they aren’t important. For example, just because it’s circulating inside your body doesn’t mean your blood gets a free pass. When you injure your foot, heel, ankle, or lower limb, blood rushes to the area to fight infection and repair the damage. This is a necessary part of healing, but it can also lead to swelling thanks to gravity making it tougher for that blood to get back up to the heart. If your feet are not elevated, blood is more likely to pool near the affected area. This makes swelling and pain worse due to added pressure, it forces the heart to work harder to keep blood circulating around your body, and it can slow the pace of healing. 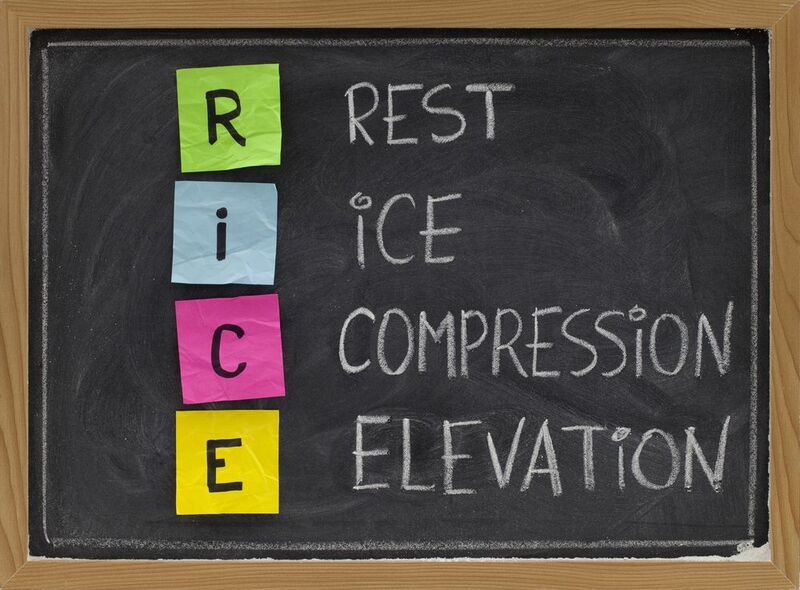 Elevation is an important component of a comprehensive first-response treatment protocol for injuries big and small, known as the RICE method. This stands for rest (taking weight and pressure off the injury), ice (applied periodically, no more than 20-30 minutes at a time), compression (wrapping the injury in an elastic bandage), and elevation—keeping the injury above heart level as often as possible. Faithfully following all parts of this protocol during the initial recovery phase of an injury will be easier on your heart, reduce swelling, and promote better pain relief and faster healing. There’s one more essential component to dealing with a foot or ankle injury, of course—call Harvey Danciger, DPM, for a full evaluation and treatment. While some minor injuries may heal fully with no professional help, more serious injuries need a custom-tailored treatment to address your individual situation and goals. You may benefit from laser therapy, orthotics, footwear modifications, or a range of other conservative or surgical treatment methods. After taking the appropriate first aid steps, please call us at 760-568-0108 to set an appointment with the doctor at our Palm Desert, CA office.